As locals to the area, we are required to be know-it-alls when it comes to travel tips and tricks, local hot spots, what’s open when, and some favorite places. There are tons of unique attractions in Santa Claus, Indiana, and sites throughout Lincoln’s Indiana Boyhood Home, that many people have not heard of – yet! 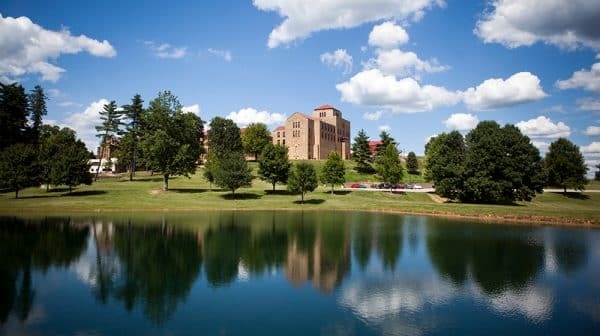 Sitting in the peaceful countryside, only five miles outside Santa Claus, the Saint Meinrad Archabbey is one of only TWO in the United States and eleven in the world. This majestic sanctuary is a rare and hidden gem that will take your breath away, no matter the season. The Lincoln Amphitheatre is a magnificent 1,500-seat outdoor venue. Attending a play or concert is a one-of-a-kind experience. The seasonal schedule runs from May through October each year. Fun Fact – The 2019 schedule has been released! Find more information about the venue here. 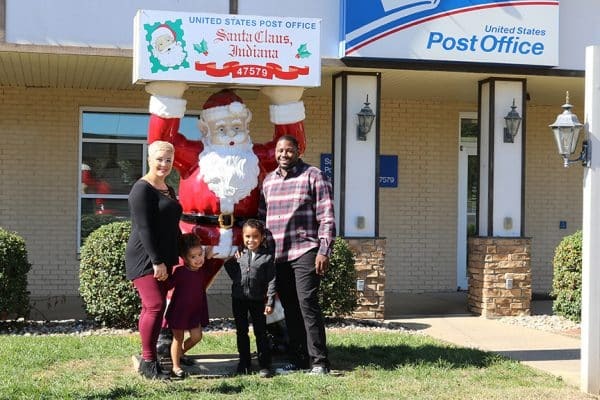 The Santa Claus Post Office is the only operating post office in the world with Santa’s name! Don’t miss a photo opp with the Santa statue right outside. If you are curious about how this town got its name, visit the Santa Claus Museum & Village from May through December. Or, read about some of the history here in a recent blog post. History buff? We have tons of sites celebrating President Lincoln’s 14 years spent in Indiana from 1816 – 1830. Visit the 2,026-acre Lincoln State Park and walk in the footsteps of young Abe. Enjoy a beautiful and peaceful drive through the countryside on the way to New Boston Tavern. Located only 10 miles from Santa Claus, Indiana, and best known for their famous smoked pork chops! Feel at one with nature during a family-friendly experience on horseback at Santa’s Stables. Enjoy a wooded ride with multiple trails. This attraction is open seasonally from April through October. There are only about 300 drive-in movie theaters left in the U.S. We’re lucky to have the Holiday Drive-In located just outside of Rockport, Indiana. Offering six viewing screens with a nightly double feature of the latest big-screen movies. This provides a perfect evening of entertainment at a family-friendly price. Open seasonally from April through September. Shop until you drop at Evergreen Boutique & Christmas Shop, open seven days a week! Browse stylish women’s fashion and continue throughout the store to shop for Christmas décor all year long. Did you know? Lincoln Boyhood National Memorial was named Best Historic Destination in Indiana. This national park offers a glimpse into the young pioneer life of our 16th president. 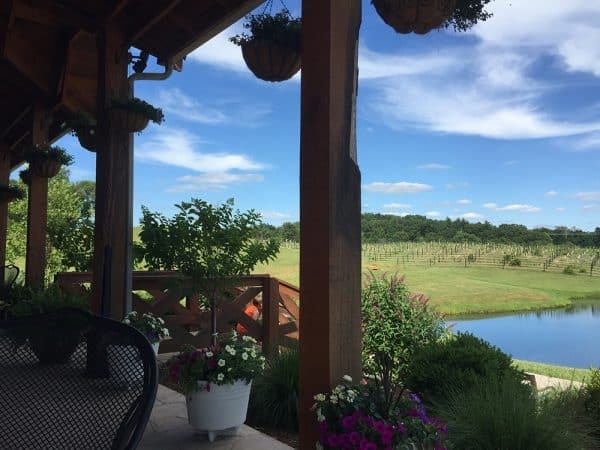 Enjoy the stunning view from the patio at Monkey Hollow Winery and Distillery, overlooking the vineyard and pond while sipping local wine or craft cocktails. Plan a group trip to receive a behind-the-scenes tour. And, the patio is pet-friendly, too! The Lakeview Orchard is a family-owned orchard near Rockport, Indiana. This farm offers a variety of fruits and vegetables spring through fall. Best known for juicy peaches, large pumpkins, and fresh apple cider. Nearby, Pepper’s Ridge Winery uses Lakeview Orchard peaches to make a local favorite, their sweet peach wine. Sip and sing along to live music every Saturday from 2:00 – 5:00 pm CT.
Visit the world’s first themed attraction, Santa’s Candy Castle, dedicated in 1935. Tantalize your taste buds with handmade and flavorful popcorn, hard-to-find candies, frozen hot chocolate, and more. This attraction is open seasonally – May through December. Check back for various special events like Chestnuts Roasting on an Open Fire during the three-weekend Santa Claus Christmas Celebration each December. Guess what? There are 13 Lincoln-era replica cabins in memorial to Abraham Lincoln’s years spent in this area at Lincoln Pioneer Village & Museum. Explore such cabins as the Pioneer Schoolhouse, the Lincoln Homestead Cabin, and the Old Pigeon Baptist Church. This attraction is open seasonally – May through October – with some special events. Find out more about the museum and hours of operation. We have only just begun; this area is known for surprising visitors with hidden gems. But we can’t give away all our secrets. 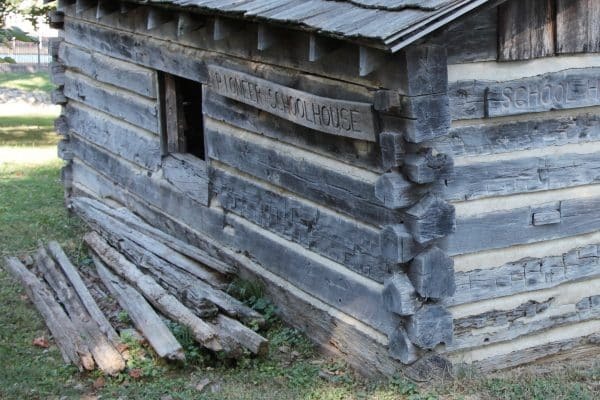 Take a trip to Santa Claus, Indiana, and explore sites throughout Lincoln’s Indiana Boyhood Home, to uncover a few of your own hidden treasures. Stay up to date on events throughout the year and print this flyer to find out what’s open when you visit.